Windsor Assembly Plant has been operating on three shifts since the early 1990s. Fiat Chrysler executives and Unifor leadership will meet on Wednesday, nearly three weeks after the automaker said it would eliminate one of three shifts at its Windsor, Ont., assembly plant. 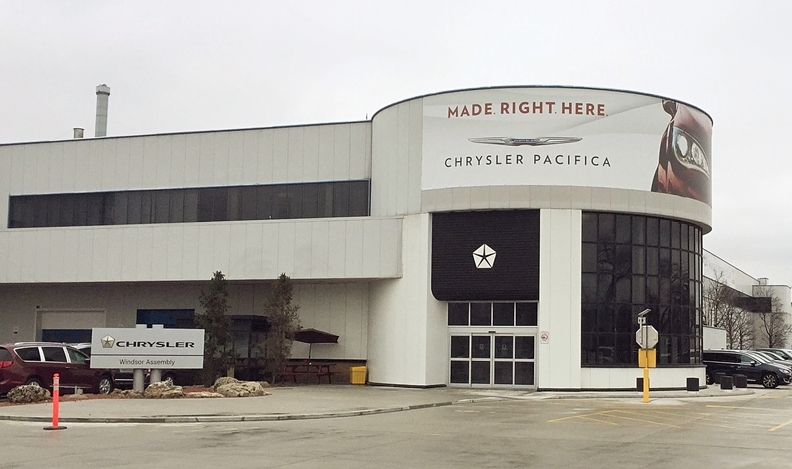 FCA plans to cut the third shift at Windsor Assembly, which builds the Chrysler Pacifica and Dodge Grand Caravan minivans, by Sept. 30 in the wake of softening North American minivan sales. The move would eliminate about 1,500 jobs. Unifor spokeswoman Kathleen O’Keefe confirmed the Wednesday meeting. FCA Canada spokeswoman Lou Ann Gosselin told Automotive News Canada that she "can't comment on internal business meetings." It is not clear which FCA executives would be on hand for the meeting. “Give us whatever they want, we will build it,” he said. Cassidy could not be reached for comment on Monday. Messages left for Dias and Dino Chiodo, Unifor’s automotive director, were not returned. The plant currently employs about 6,000 workers and has for years operated on three shifts, six days per week, producing about 1,500 vehicles per day at full capacity. Softening minivan sales have changed FCA’s plans, however. Canadian Pacifica sales plummeted 59 per cent year-over-year through March to just 816 units, while Grand Caravan sales dipped nine per cent to 8,206 units, according to the Automotive News Data Center. Pacifica sales declined 29 per cent during the same time period in the United States to 23,274 units, while Grand Caravan sales fell 18 per cent to 35,440 units. Workers returned to the assembly line today following a two-week shutdown. Unifor has also in recent weeks been engaged in negotiations with General Motors regarding the future of its Oshawa, Ont., assembly plant. GM plans to end production at the plant by year’s end.